Today Delta retired the first Boeing 747-400 aircraft ever built for a commercial airline, after its final flight from Honolulu to Atlanta. 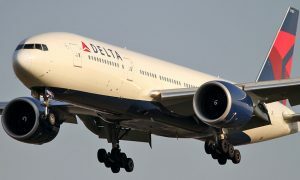 Delta Ship 6301 made its first flight with Northwest Airlines in December 1989, and has logged more than 61 million miles, enough to make 250 trips from the Earth to the moon. Northwest later merged with Delta. Known as the “Queen of the Skies,” the 747 is one of the most popular and recognizable aircraft in the world today. When the first 747 made its first commercial flight 45 years ago, critics thought the aircraft would soon become obsolete as designers believed that supersonic aircraft would be taking over the skies. However, the four-engine jumbo jet revolutionized the industry with its exceptional long-haul flight capability and sheer size, nearly three times larger than the largest jet flying at the time. The 747 ushered in a new era of international travel with luxuries and, at one time, features such as spiral staircases to the upper deck and stand-alone piano bars. The improved 747-400 featured a new glass cockpit, tail fuel tanks, advanced engines and a new interior. 747-400 model is called a “high-tech” jumbo to distinguish its advanced features from its predecessor, the “classic jumbo” of the -100 to -300 series. 747-400s have been flown from the U.S. to numerous long-haul destinations including Amsterdam, Tel Aviv, Honolulu, Shanghai, Seoul, Tokyo, and Manila during the past 26 years. 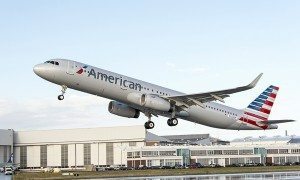 As Delta continues to modernize its fleet and improve its Pacific network, the airline plans to retire the remaining 12 747s in its fleet by 2017, replacing them with smaller, more fuel-efficient aircraft that will enable the airline to operate a wider variety of routes, particularly in Asian markets. The final flight of ship 6301 was Flight 836. 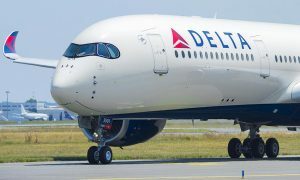 The full flight took off from Honolulu on time while the entire Delta team saw off the beloved aircraft. Following its final flight, Ship 6301 was welcomed home to Atlanta early this morning. Following its retirement, Ship 6301 is scheduled to take a final journey in early 2016 to the Delta Flight Museum, where it will become the latest aircraft exhibit.